The US military has an enormous number of bases dispersed throughout the world and the 50 states. 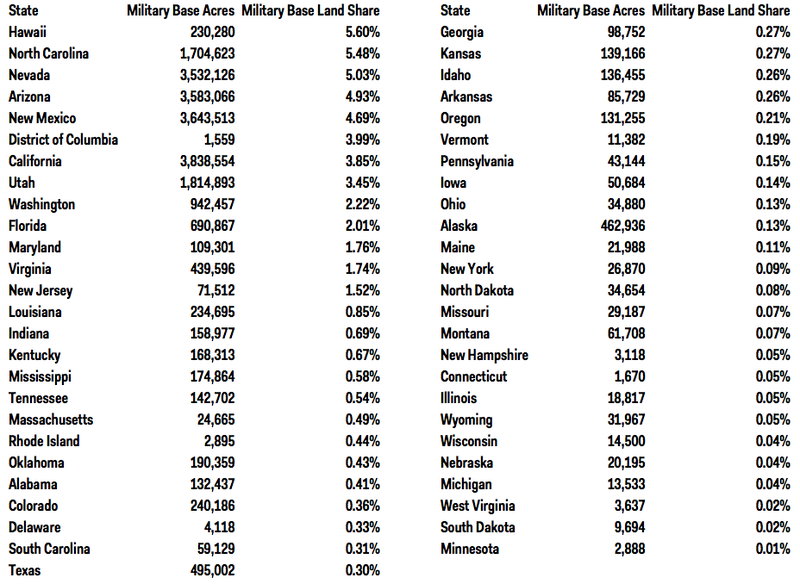 The Department of Defence’s Base Structure Report is an annually published inventory of the US military’s thousands of domestic and foreign installations, bases, and property assets. 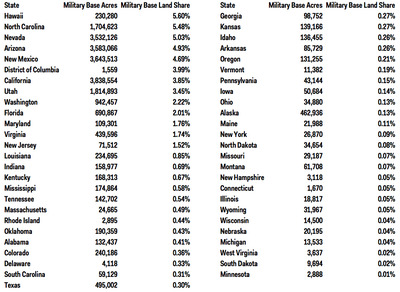 Using the FY 2014 report, we found the most military-heavy states in the US. The southwest contains a number of sprawling installations, like Nevada’s Nellis Air Force Range, used for testing and training. Hawaii is home to Pearl Harbour and the Navy’s Pacific Fleet. Fort Bragg, where many Army commands are headquartered, is a big part of the military presence in North Carolina. The full Department of Defence report can be found here.